Open access Global demographic history of human populations inferred from whole mitochondrial genomes, by Miller, Manica, and Amos, Royal Society Open Science (2018). The Phase 3 sequence data from 20 populations, comprising five populations for each of the four main geographical regions of Europe, East Asia, South Asia and Africa, were downloaded from the 1000 Genomes Project website (www.1000genomes.org/data, ), including whole mitochondrial genome data for 1999 individuals. 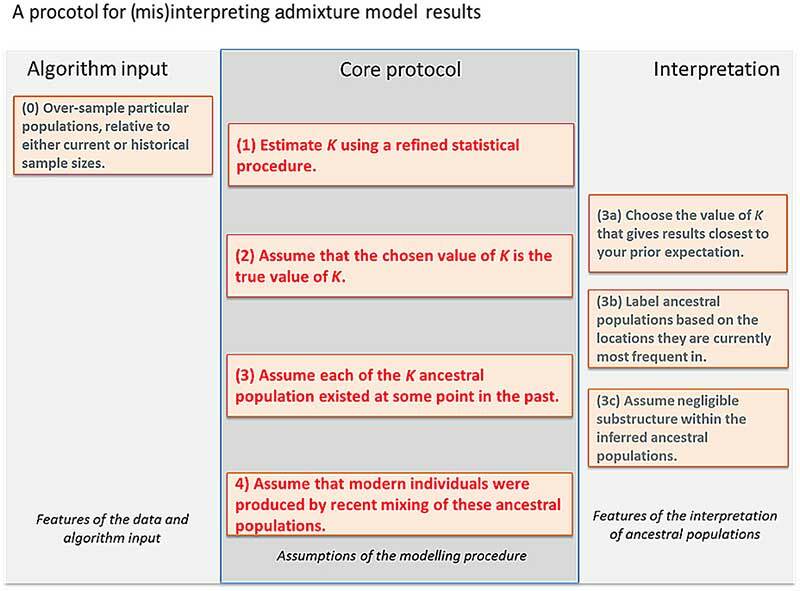 We decided not to analyse populations from the Americas due to the region’s complex history of admixture [13,14]. We analysed our mtDNA data with the extended Bayesian skyline plot (EBSP) method, a Bayesian, non-parametric technique for inferring past population size fluctuations from genetic data. Building on the previous Bayesian skyline plot (BSP) approach, EBSP uses a piecewise-linear model and Markov chain Monte Carlo (MCMC) methods to reconstruct a populations’ demographic history  and is implemented in the software package BEAST v. 2.3.2 . Alignments for each of the 20 populations were loaded separately into the Bayesian Evolutionary Analysis Utility tool (BEAUti v. 2.3.2) in NEXUS format. 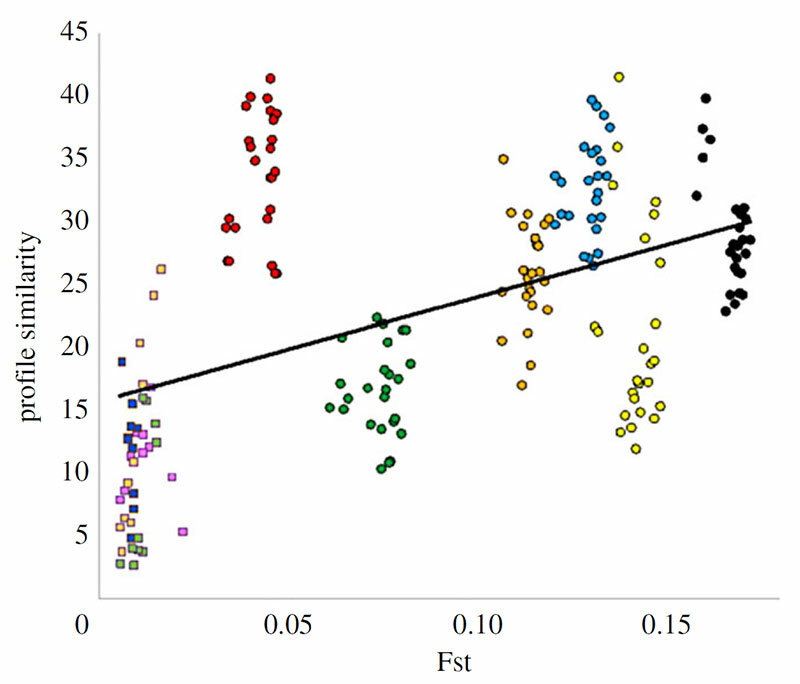 Relationship between profile similarity and genetic distance, measured as Fst. Comparisons between regions, circles, are colour-coded: black ¼ AFR-EA; yellow ¼ AFR-EUR; blue ¼ AFR-SA; orange ¼ EUR-EA; green ¼ EA-SA; red ¼ EUR-SA. Comparisons within regions, squares, are coded: peach ¼ EUR; pink ¼ EA; dark blue ¼ EA; light blue ¼ AFR. Profile similarity is calculated as inferred size difference summed over 20 evenly spaced intervals (see Material and methods). The five European profiles are presented in figure 2. The four southerly populations all show profiles with a stable size up to approximately 14 ka followed by a sudden, rapid increase that becomes progressively less steep towards the present. There is also a north-south trend, with confidence intervals becoming broader towards the north, particularly for the oldest time-points. The Finnish population profile appears rather different, but this is to be expected both because it is so far north and because previous studies have identified Finns as a strong genetic outlier in Europe [19–22]. 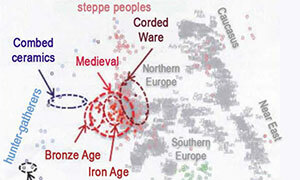 Inferred demographic histories of five European populations. Dotted line is the median estimate of Ne and the thin grey lines show the boundary of the 95% CPD interval. The x-axis represents time from the present in years and all plots are on the same scale. 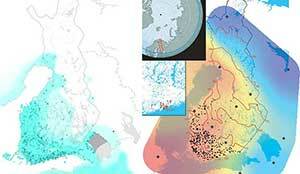 Map shows origins of sampled populations. The five profiles for South Asia are shown in figure 3. All populations reveal a period of rapid growth approximately 45–40 ka which then slows. Near the present the two southerly populations, GIH and STU both show evidence of a decline. 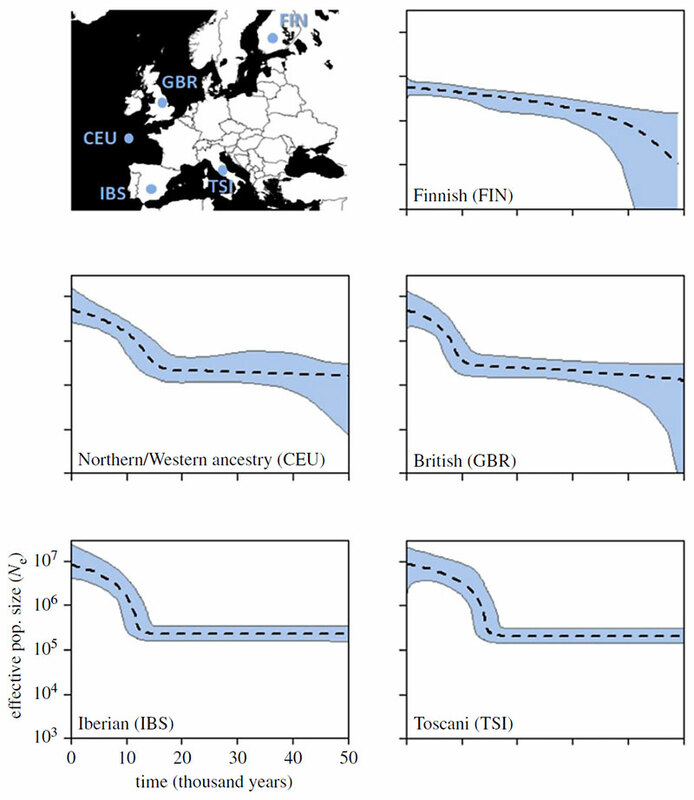 However, this may be due to these samples being drawn from populations no longer living on the subcontinent, with the downward trend capturing a bottleneck associated with moving to Europe/America, perhaps accentuated by the tendency for immigrant populations to group by region, religion and race . 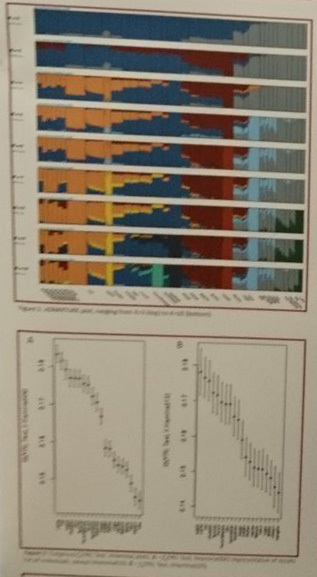 Inferred South Asian population demographic histories. Dotted line is the median Ne estimate and the thin grey lines show the boundary of the 95% CPD intervals. The x-axis represents time from the present in thousands of years and all plots are on the same scale. The map shows location of sampled populations. New paper (behind paywall) Neolithic phylogenetic continuity inferred from complete mitochondrial DNA sequences in a tribal population of Southern India, by Sylvester et al. 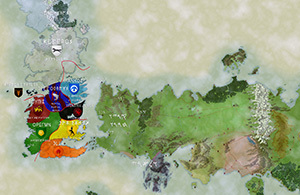 Genetica (2018). This paper used a complete mtDNA genome study of 113 unrelated individuals from the Melakudiya tribal population, a Dravidian speaking tribe from the Kodagu district of Karnataka, Southern India. Autosomal genetic evidence indicates that most of the ethnolinguistic groups in India have descended from a mixture of two divergent ancestral populations: Ancestral North Indians (ANI) related to People of West Eurasia, the Caucasus, Central Asia and the Middle East, and Ancestral South Indians (ASI) distantly related to indigenous Andaman Islanders (Reich et al. 2009). It is presumed that proto-Dravidian language, most likely originated in Elam province of South Western Iran, and later spread eastwards with the movement of people to the Indus Valley and later the subcontinent India (McAlpin et al. 1975; Cavalli-Sforza et al. 1988; Renfrew 1996; Derenko et al. 2013). 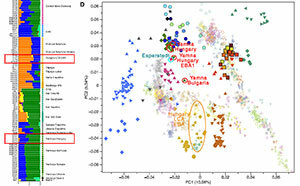 West Eurasian haplogroups are found across India and harbor many deep-branching lineages of Indian mtDNA pool, and most of the mtDNA lineages of Western Eurasian ancestry must have a recent entry date less than 10 Kya (Kivisild et al. 1999a). The frequency of these lineages is specifically found among the higher caste groups of India (Bamshad et al. 1998, 2001; Basu et al. 2003) and many caste groups are direct descendants of Indo-Aryan immigrants (Cordaux et al. 2004). These waves of various invasions and subsequent migrations resulted in major demographic expansions in the region, which added new languages and cultures to the already colonized populations of India. 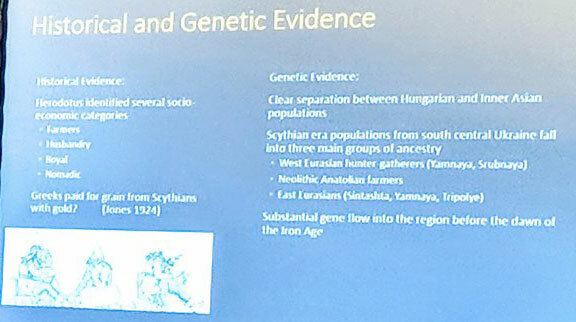 Although previous genetic studies of the maternal gene pools of Indians had revealed a genetic connection between Iranian populations and the Arabian Peninsula, likely the result of both ancient and recent gene flow (Metspalu et al. 2004; Terreros et al. 2011). 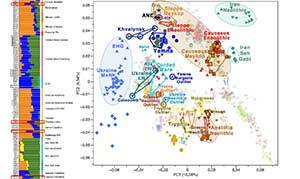 Although, haplogroup U7 has its origin from the Near East and is widespread from Europe to India, the phylogeny of Melakudiya tribe with subclade U7a3a1a2 clusters with populations of India (caste and tribe) and neighboring populations (Irwin et al. 2010; Ranaweera et al. 2014; Sahakyan et al. 2017), hint about the in-situ origin of the subclade in India from Indo-Aryan immigrants. I am not a native English speaker, but this paper looks like it needs a revision by one. 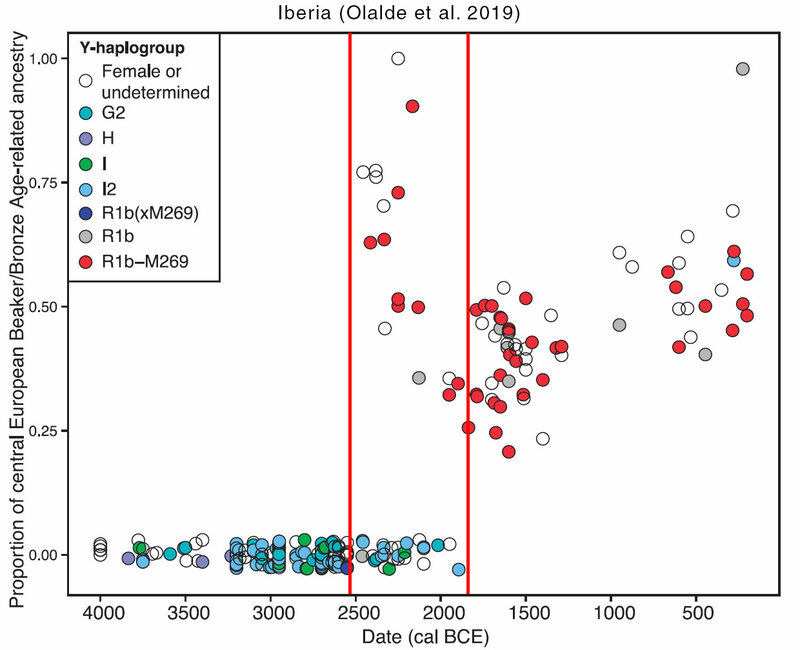 Also – without comparison with ancient DNA – it is not enough to show coalescence age to prove an origin of haplogroup expansion in the Neolithic instead of later bottlenecks. However, since we are talking about mtDNA, it is likely that their analysis is mostly right. Finally, one thing is to prove that the origin of the Indus Valley Civilization lies (in part) in peoples from the Iranian plateau, and to show with ASI ancestry that they are probably the origin of Proto-Dravidian expansion, and another completely different thing is to prove an Elamo-Dravidian connection. 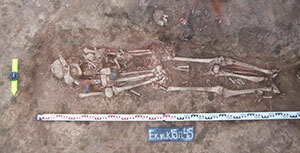 New paper (behind paywall) The prehistoric peopling of Southeast Asia, by McColl et al. (Science 2018) 361(6397):88-92 from a recent bioRxiv preprint. The two oldest samples — Hòabìnhians from Pha Faen, Laos [La368; 7950 with 7795 calendar years before the present (cal B.P.)] and Gua Cha, Malaysia (Ma911; 4415 to 4160 cal B.P. 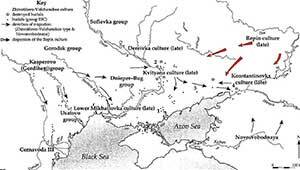 )—henceforth labeled “group 1,” cluster most closely with present-day Önge from the Andaman Islands and away from other East Asian and Southeast-Asian populations (Fig. 2), a pattern that differentiates them from all other ancient samples. We used ADMIXTURE (14) and fastNGSadmix (15) to model ancient genomes as mixtures of latent ancestry components (11). Group 1 individuals differ from the other Southeast Asian ancient samples in containing components shared with the supposed descendants of the Hòabìnhians: the Önge and the Jehai (Peninsular Malaysia), along with groups from India and Papua New Guinea. We also find a distinctive relationship between the group 1 samples and the Ikawazu Jōmon of Japan (IK002). 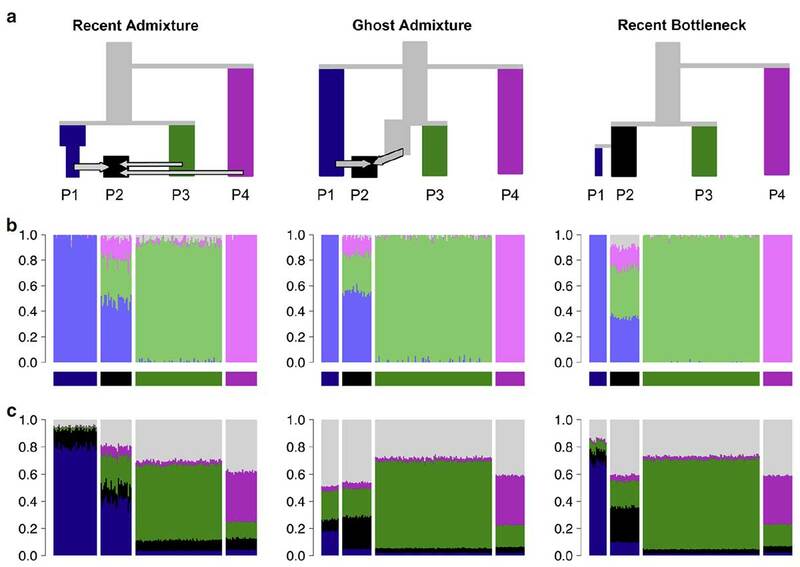 Outgroup f3 statistics (11, 16) show that group 1 shares the most genetic drift with all ancient mainland samples and Jōmon (fig. S12 and table S4). 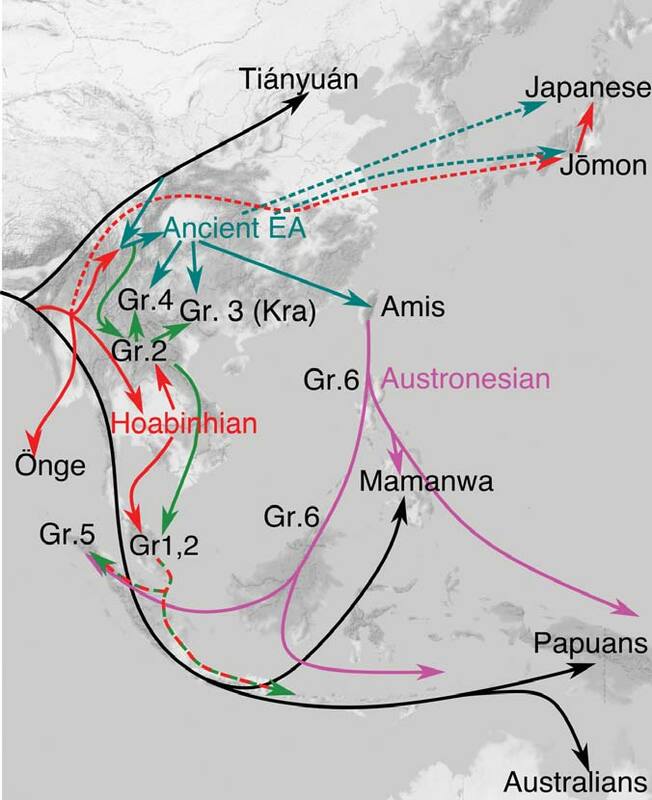 All other ancient genomes share more drift with present-day East Asian and Southeast Asian populations than with Jōmon (figs. S13 to S19 and tables S4 to S11). This is apparent in the fastNGSadmix analysis when assuming six ancestral components (K = 6) (fig. S11), where the Jōmon sample contains East Asian components and components found in group 1. To detect populations with genetic affinities to Jōmon, relative to present-day Japanese, we computed D statistics of the form D(Japanese, Jōmon; X, Mbuti), setting X to be different presentday and ancient Southeast Asian individuals (table S22). The strongest signal is seen when X=Ma911 and La368 (group 1 individuals), showing a marginally nonsignificant affinity to Jōmon (11). This signal is not observed with X = Papuans or Önge, suggesting that the Jōmon and Hòabìnhians may share group 1 ancestry (11). Model for plausible migration routes into SEA. This schematic is based on ancestry patterns observed in the ancient genomes. 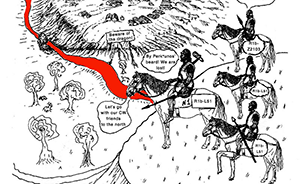 Because we do not have ancient samples to accurately resolve how the ancestors of Jōmon and Japanese populations entered the Japanese archipelago, these migrations are represented by dashed arrows. A mainland component in Indonesia is depicted by the dashed red-green line. Gr, group; Kra, Kradai. Post late-Paleolithic hunter-gatherers lived throughout the Japanese archipelago, Jomonese, are thought to be a key to understanding the peopling history in East Asia. 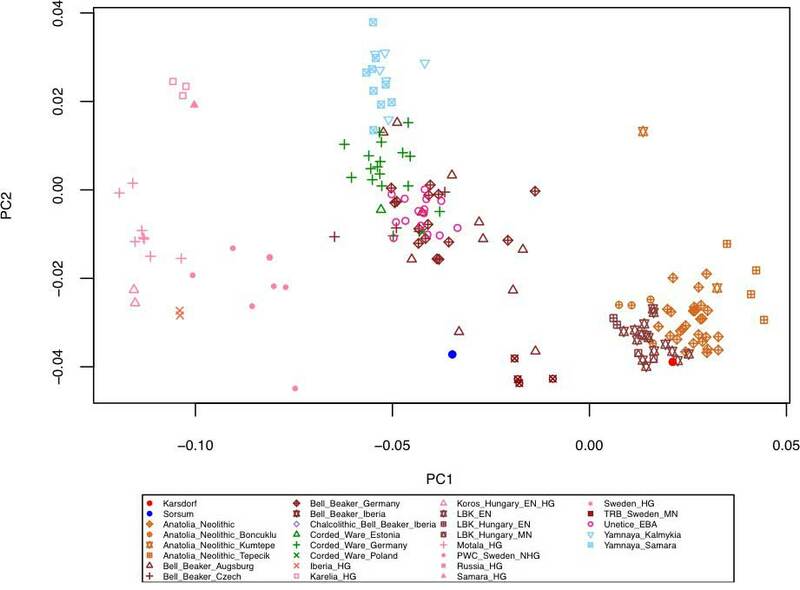 Here, we report a whole genome sequence (x1.85) of 2,500-year old female excavated from the Ikawazu shell-mound, unearthed typical remains of Jomon culture. The whole genome data places the Jomon as a lineage basal to contemporary and ancient populations of the eastern part of Eurasian continent, and supports the closest relationship with the modern Hokkaido Ainu. 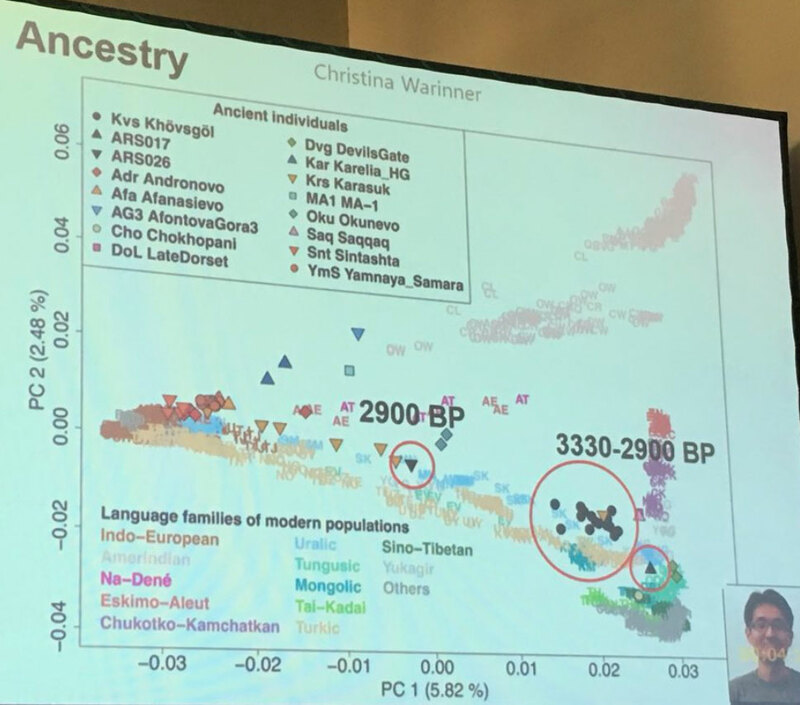 The results of ADMIXTURE show the Jomon ancestry is prevalent in present-day Nivkh, Ulchi, and people in the main-island Japan. 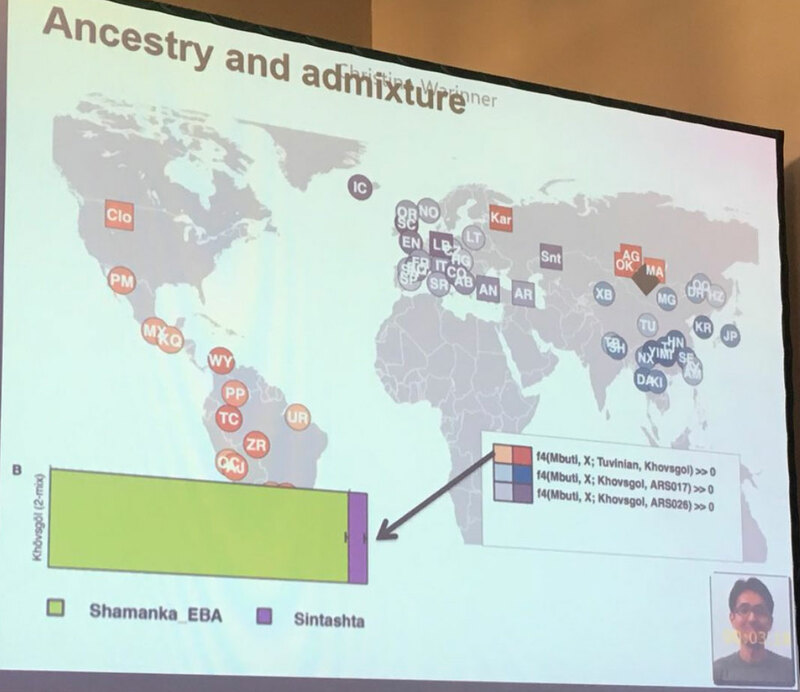 By including the Jomon genome into phylogenetic trees, ancient lineages of the Kusunda and the Sherpa/Tibetan, early splitting from the rest of East Asian populations, is emerged. 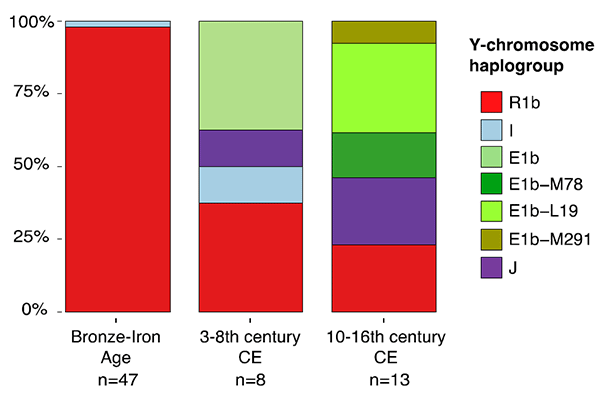 Thus, the Jomon genome gives a new insight in East Asian expansion. The Ikawazu shell-mound site locates on 34,38,43 north latitude, and 137,8, 52 east longitude in the central main-island of the Japanese archipelago, corresponding to a warm and humid monsoon region, which has been thought to be almost impossible to maintain sufficient ancient DNA for genome analysis. Our achievement opens up new possibilities for such geographical regions. New paper (behind paywall) Ancient goat genomes reveal mosaic domestication in the Fertile Crescent, by Daly et al. Science (2018) 361(6397):85-88. Thus, our data favor a process of Near Eastern animal domestication that is dispersed in space and time, rather than radiating from a central core (3, 11). This resonates with archaeozoological evidence for disparate early management strategies from early Anatolian, Iranian, and Levantine Neolithic sites (12, 13). 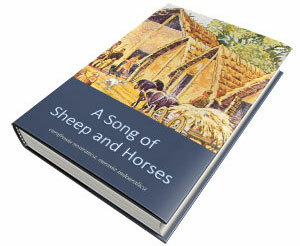 Interestingly, our finding of divergent goat genomes within the Neolithic echoes genetic investigation of early farmers. 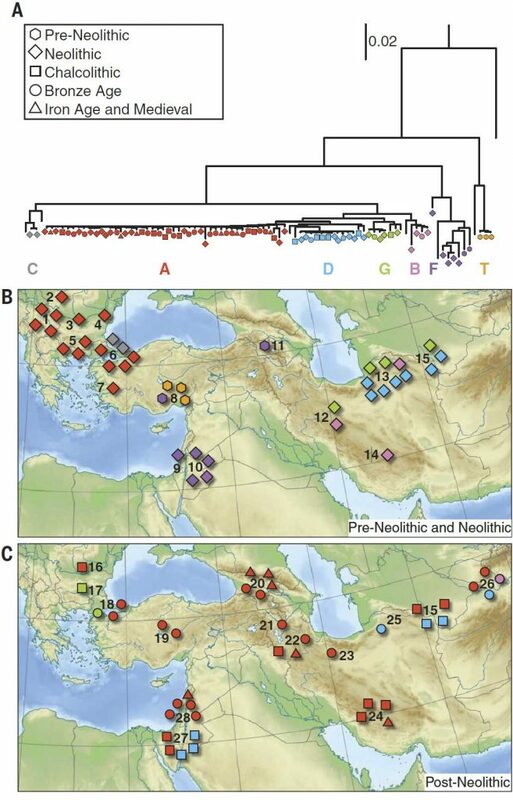 Northwestern Anatolian and Iranian human Neolithic genomes are also divergent (14–16), which suggests the sharing of techniques rather than large-scale migrations of populations across Southwest Asia in the period of early domestication. Several crop plants also show evidence of parallel domestication processes in the region (17). PCA affinity (Fig. 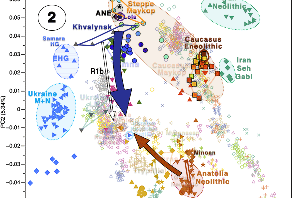 2), supported by qpGraph and outgroup f3 analyses, suggests that modern European goats derive from a source close to the western Neolithic; Far Eastern goats derive from early eastern Neolithic domesticates; and African goats have a contribution from the Levant, but in this case with considerable admixture from the other sources (figs. S11, S16, and S17 and tables S26 and 27). 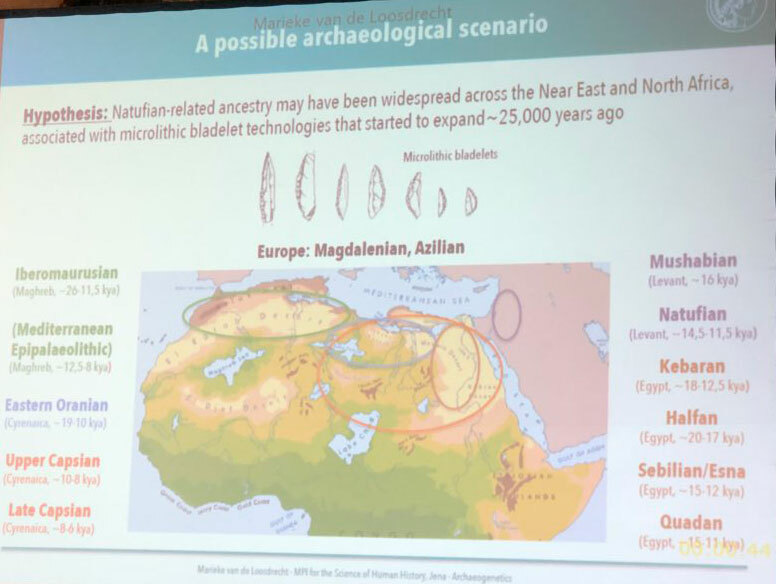 The latter may be in part a result of admixture that is discernible in the same analyses extended to ancient genomes within the Fertile Crescent after the Neolithic (figs. 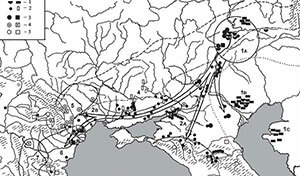 S18 and S19 and tables S20, S27, and S31) when the spread of metallurgy and other developments likely resulted in an expansion of inter-regional trade networks and livestock movement. 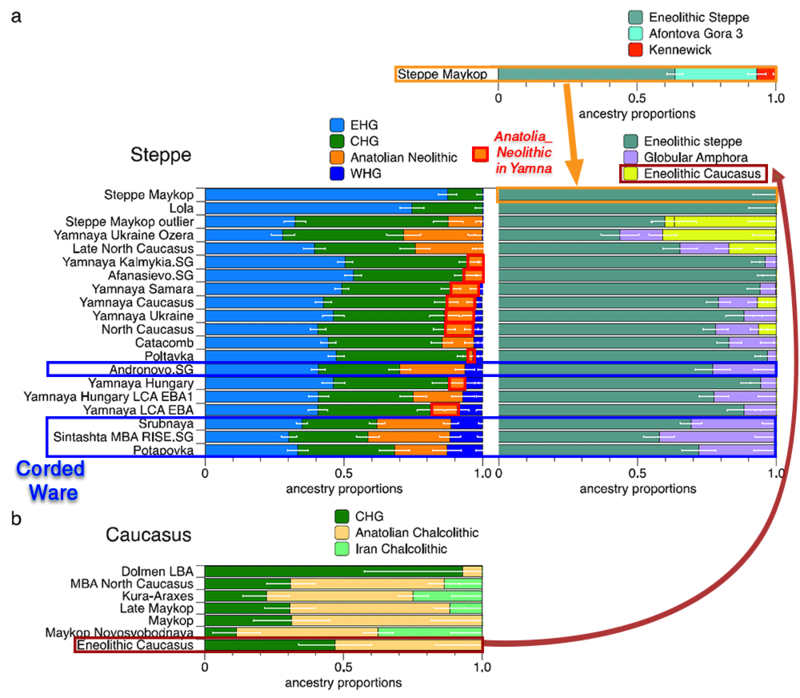 Maximumlikelihood phylogeny and geographical distributions of ancient mtDNA haplogroups. 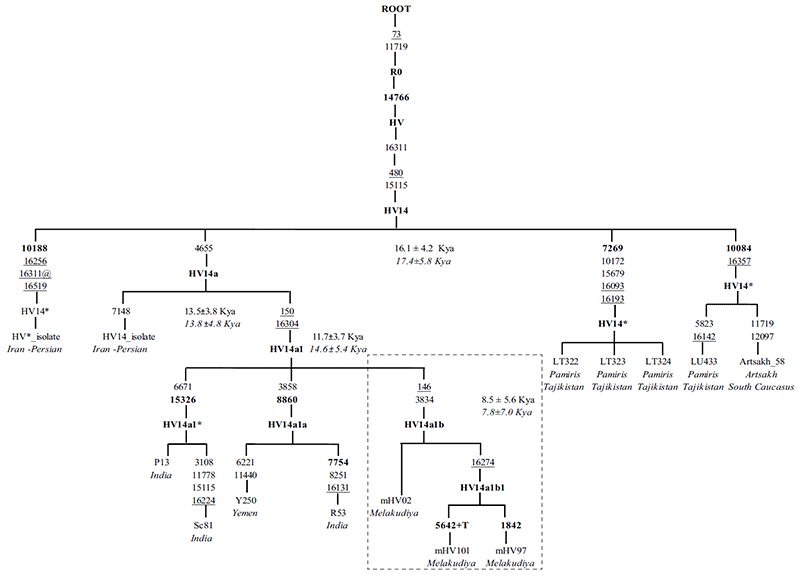 (A) A phylogeny placing ancient whole mtDNA sequences in the context of known haplogroups. Symbols denoting individuals are colored by clade membership; shape indicates archaeological period (see key). Unlabeled nodes are modern bezoar and outgroup sequence (Nubian ibex) added for reference.We define haplogroup T as the sister branch to the West Caucasian tur (9). 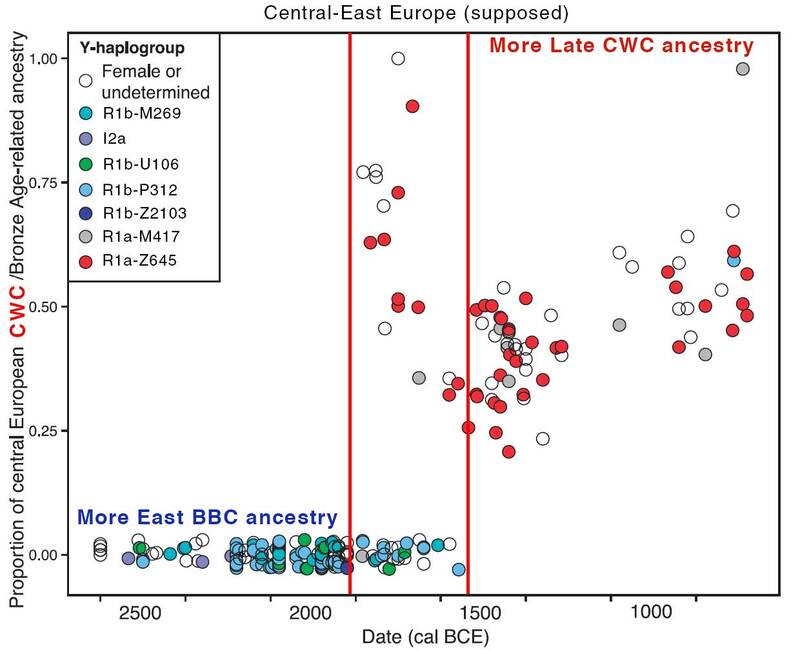 (B and C) Geographical distributions of haplogroups show early highly structured diversity in the Neolithic period (B) followed by collapse of structure in succeeding periods (C).We delineate the tiled maps at 7250 to 6950 BP, a period >bracketing both our earliest Chalcolithic sequence (24, Mianroud) and latest Neolithic (6, Aşağı Pınar). Numbered archaeological sites also include Direkli Cave (8), Abu Ghosh (9), ‘Ain Ghazal (10), and Hovk-1 Cave (11) (table S1) (9). Our results imply a domestication process carried out by humans in dispersed, divergent, but communicating communities across the Fertile Crescent who selected animals in early millennia, including for pigmentation, the most visible of domestic traits.